Making a trip to Las Vegas is unlike visiting any other city in the world. Vegas is known for its wild party atmosphere, and with one visit to Sin City, you will see why it has earned such a reputation for being sure a fun place to experience nightlife. The Bars are in the Resorts. If you never want to leave your Las Vegas resort, you never have to! That is because the bars and clubs in Las Vegas are actually located inside the resort, so you can come down to the lobby and start club hopping without ever leaving your hotel! This also makes it super easy to hit the gambling floor between bar stops. Bottle Service is the way to go. One of the best reasons to go to a Las Vegas bar is to enjoy bottle service. Getting bottle service in Las Vegas is different than getting bottle service anywhere else. Bottle service isn’t only more common in Vegas, but it can help you avoid lines at crowded Las Vegas night clubs. Celebrities love making appearances at Las Vegas clubs. Want to rub elbows with some of Hollywood’s elite? Las Vegas is where they love to go to party and many clubs are willing to pay to get them to come in, meaning there are plenty of opportunities to see some of the biggest celebrities around. There are dress codes most places. Las Vegas isn’t your average bar scene, which means you can’t just wear your average bar clothes. There are dress codes in many night clubs, so make sure you pack appropriately. For ladies this means dresses or dressy tops and outfits. For guys, this means collard shirts, no graphic tees and typically a belt. While it can vary from place to place, it is typically best to be overdress in a place like Vegas. The bars won’t be closing early. If you are going to Vegas for a night out, plan to spend the whole night out. The city pretty much stays up all night, so plan on making it a late one. Some of the best bartenders in the world are located in Las Vegas. Bartenders know if they want to make money and really reach the height of their career, then Vegas is the place to go. For bar-hoppers this means you can get creative cocktails and specialty concoctions that you won’t find anywhere else in the world. The best of the best truly come to Vegas. 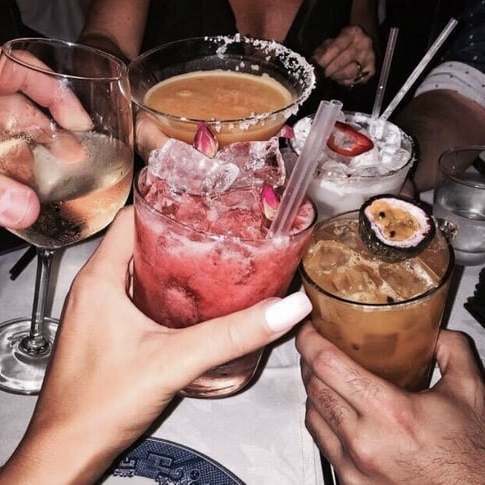 In Las Vegas, you are going to find more than just your run-of-the-mill bartenders, you will find world-class mixologists, such as the pros who work at Camden. Trust us, they can make you a drink unlike any you’ve ever tried before. The food is just as good as the drinks. Sure, when it comes to hitting the nightlife scene in Vegas, make sure you make just as much time for eating as drinking. Plus, it is always great to have a little food in your stomach when you hit the bars. Rooftop bars are a must-see stop. It is impossible to do it all in Vegas and to make your way to every bar in Sin City. This is why it is so important to prioritize when you make your plan for hitting the town in Vegas. While you map out the bars you will be visiting, make sure that at least one rooftop bar is on your list. The views of the skyline in Vegas have to be seen to be believed. Keep these eight crucial thing in mind whenever you try to navigate your tip to Las Vegas as it will help you not only get excited for the experiences to come, but help you be a pro when it comes to making the most of your Sin City experience.